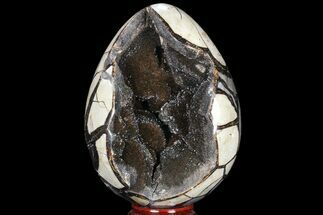 This is a really cool Septarian "Dragon Egg" geode collected in the Betsiboka Region of Madagascar. 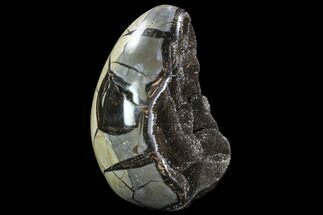 The hollow cavity is full of beautiful, black/brown calcite crystals. 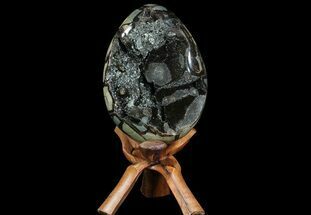 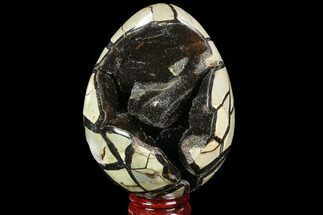 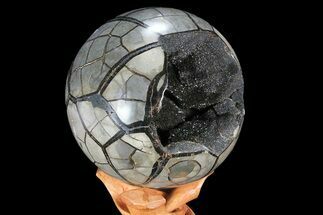 It is a hollow septarian nodule, which has been polished into an egg shape, and the natural cracked pattern of the septarian gives it the appearance of a dragons egg. 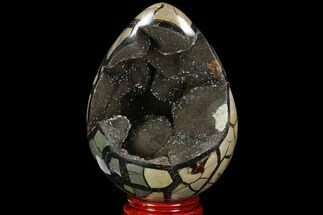 A spectacular display piece which would look great in your home/office or make a great gift for the Game of Thrones enthusiast you know. 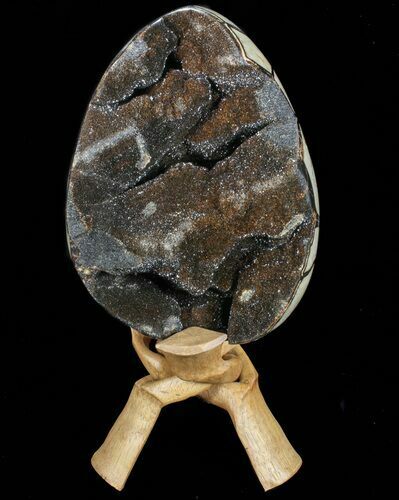 Comes with the pictured wooden display stand.